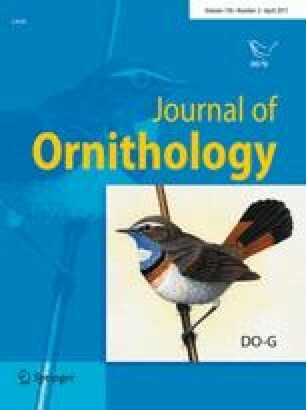 The global phylogenetic relationships of the extinct Scarlett’s Shearwater (Puffinus spelaeus) from New Zealand are examined using ancient DNA sequencing and phylogenetic analyses. The cytochrome b sequences obtained confirm the distinctiveness of this taxon. It forms a strongly-supported clade with two other New Zealand species, suggesting a radiation of similar-sized species in this region. Molecular dating suggests Pleistocene divergences within this clade. Anhand von Sequenzen alter DNA und mittels phylogenetischer Analysen untersuchten wir die weltweiten phylogenetischen Verwandtschaftsverhältnisse des ausgestorbenen neuseeländischen Scarlettsturmtauchers (Puffinus spelaeus). Die ermittelten Cytochrom b-Sequenzen bestätigen die Abgrenzbarkeit dieses Taxons. Zusammen mit zwei anderen neuseeländischen Arten bildet es eine gut gestützte Klade, was auf eine Radiation von Arten ähnlicher Größe in dieser Region hindeutet. Die molekulare Datierung legt pleistozäne Aufspaltungen innerhalb dieser Klade nahe. Thanks to two anonymous reviewers for their comments on the manuscript. LDS acknowledges the support of a Royal Society of New Zealand Rutherford Discovery Fellowship.